Marketing 101: How Has the Internet Changed Lead Generation? 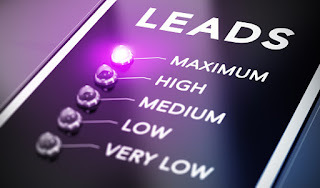 There is no denying that technology has greatly revolutionized lead generation, especially in regard to the internet. Gone are the days of having to cold call prospects and knock on their doors. Sure, these tactics still work, but business owners are continually finding ways for lead generation to be more cost-efficient and effective. For now, let's take a quick look at how the internet has changed lead generation and the many reasons you need to be taking advantage of technology to expand your customer base. Thanks to advancements in artificial intelligence technology, you can engage with leads online like never before. In fact, you don't even have to be the one engaging with them. An AI software program can do the engaging for you. Take, for example, if your website offers a chat feature. Before connecting the customer with an actual representative, artificial intelligence software can engage them in a natural-sounding conversation to determine which department the customer needs to be directed to. If you aren't using analytics to track website visitors, you need to be. An easy-to-use tracking platform that is excellent for determining which pages on your site are performing the best is Google Analytics. There is a good chance the service provider that is hosting your site also provides some type of analytics to take advantage of. Regardless of the tracking tools you use, though, analyzing data on page performance can help you pinpoint which pages need to be further optimized and which ones need to be left alone. This enables you to improve time management because you can focus your attention on the pages that need improvement rather than wasting time on the ones that are already attracting quality leads. You want your emails to be as personable as possible to improve the odds of turning a cold lead into a warm lead, but you can't accomplish this through a single email. Instead, you need to create an email sequence that is automated; this will engage your leads in a systemized manner and it allows you to warm them up to an offer. Your existing customers deserve your attention, but at the same time, you need to be focusing some of your operations on lead generation. Thanks to advancements in technology and the internet, it is now easier than ever to generate leads in a timely and cost-efficient manner. By deploying the four tips outlined above, you'll be well on your way to capturing leads and improving customer satisfaction at the same time.